Theory of mind was assessed in 32 adults with HFA, 29 adults with Asperger syndrome and 32 neurotypical adults. 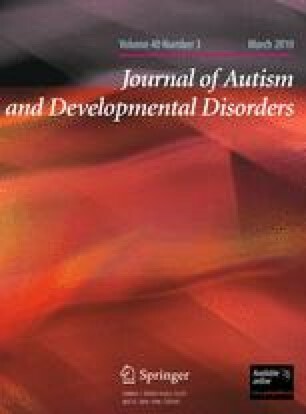 The HFA and Asperger syndrome groups were impaired in performance of the Strange stories test and the Faux-pas test and reported more theory of mind problems than the neurotypical adults. The three groups did not differ in performance of the Eyes test. Furthermore, correlations between the Eyes test and the three other theory of mind tests were low or absent. Therefore one can question the ability of the Eyes test to measure theory of mind. Of all theory of mind tests used, the self-report questionnaire had the largest discriminating power in differentiating the two disorder groups from the neurotypical group. The present article was submitted as part of the first author’s PhD Degree at Leiden University. The second and third authors are members of the Department of Clinical Child and Adolescent studies at Leiden University. The article was written while the first author was employed by the Mental Health Center Eindhoven (GGZ Eindhoven). GGZ Eindhoven made the present study possible. Special thanks go to all colleagues in Eindhoven and Oss who assisted in the study. Furthermore, we are very grateful to the adults who participated in the present study.